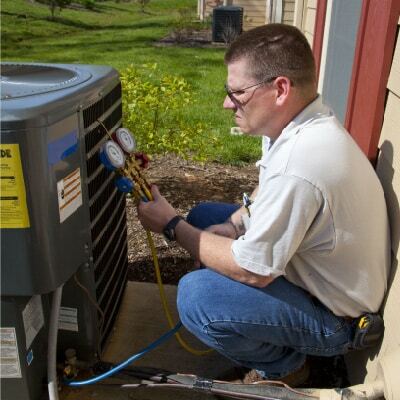 Our complete HVAC services at affordable rates ensure everyone can be comfortable. 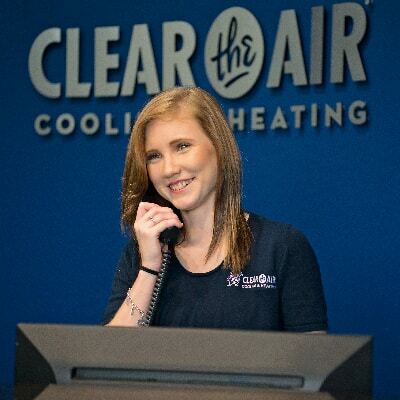 Whether you are a long time customer or new customer, Clear the Air is happy to answer all your cooling and heating questions. 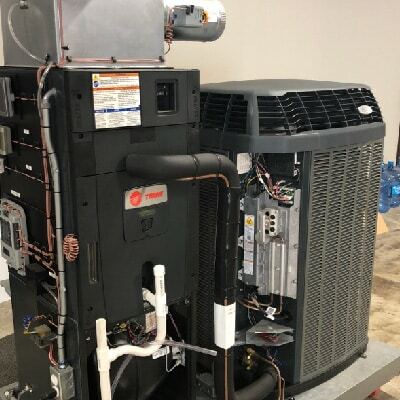 We service heat pumps, furnaces, air conditioners and more. We will repair any make or model. Your system will be back up and running fast. Every repair is performed to last. Our services put the customer first. We cater to residential and commercial needs. Every customer opinion is valued. Your service is 100% right or it’s 100% free. We offer many savings opportunities. Every cost is agreed upon upfront. You’ll pay the quoted price every time. The length of your job won’t dictate price. Our work is fast and efficient no matter the cost. Why is my air conditioning leaking? If you notice moisture around your air conditioner, there are a couple of potential causes. Sometimes it is condensate which is building up because of a clogged drain. Other times, it could be from melting ice around coils. Both of these can indicate a more serious problem. If you see ice, you should turn your AC off and call a professional. There are many different causes of a loud furnace. They range from a lack of lubrication to a damaged belt to dirty burners. In any case, if you are noticing a loud noise, it is probably a sign that something is wrong. Why install a geothermal system? A geothermal heating and cooling system is the most efficient system you could possibly have installed in your home. With up to 400% more efficiency than other systems, it is great for the environment and your personal money savings over time. Is it possible that my indoor air quality is poor? Yes. No matter where you live or how clean you are, bad indoor air quality can sneak up on you. You might notice it in a general feeling of unwellness or allergies within your home. There are many products and services that can clear the air for you. Why should I get maintenance? You wouldn’t continue to drive your car without ever changing its oil. Something catastrophic could happen to it. The same goes for your HVAC system. Regular maintenance will keep it in top shape and help prevent premature breakdowns. Do you offer the commercial services I need? HVAC repair, replacement & maintenance. We wear our customer reviews like a badge of honor. That is because we’re ranked five stars with families and businesses all across the Houston area! We happily serve Southwest Texas with professional heating and cooling solutions. If we can find a way to make our community happy, we’re already on it.